Summer hikes around Mt. Rainier are some of the best in the Northwest. It’s no wonder when Mt. Rainier’s summer wildflower bloom is internationally known. From Enumclaw a quick drive up the Chinook Pass Scenic Byway or along Hwy 165 will take visitors to popular hikes as well, as to cascading waterfalls, sweeping vistas and can offer sneak peeks at wildlife. The hike to Dege Peak yields sightings of approximately 20 varieties of blooms on its 4.2 mile out and back journey from the Sunrise parking lot. On a clear day, this family-friendly hike presents expansive views over an 800-foot elevation gain, to the 7,006-high point at the summit. Hikers can take in views of Goat Rocks, Glacier Peak, Mount Stuart, Mount Daniel, and Mount Adams. The Burroughs trails bring hikers right up close to Mt. Rainier itself. The Carbon River entrance to Mt. Rainier National Park is the closest in proximity to major metropolitan areas, but is the least visited entrance to the Park. 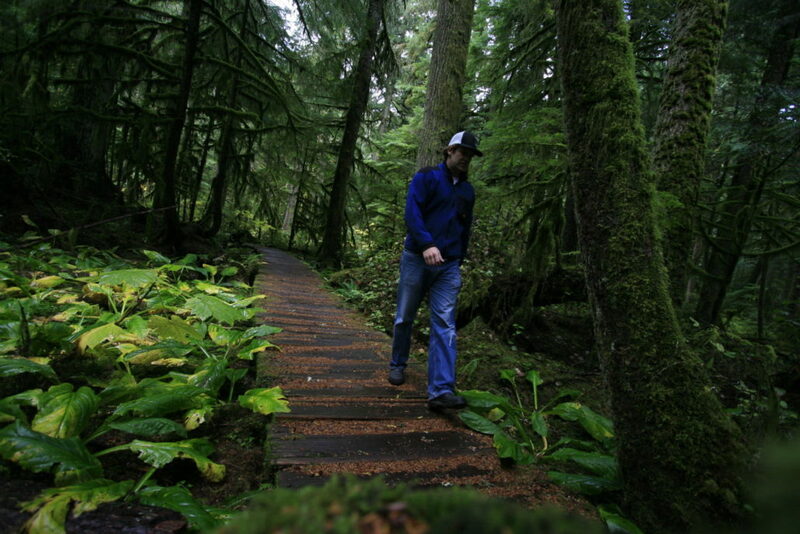 Visitors can enjoy Spray Park and Mowich Lake and Ipsut Falls in relative solitude midweek. 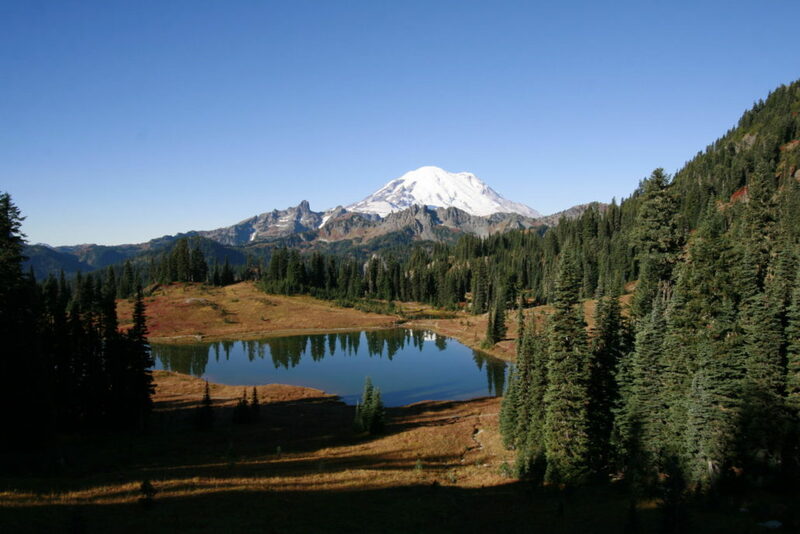 Tipsoo Lake is located just off the crest of the Chinook Pass Scenic Byway, east of Enumclaw. This alpine treasure is surrounded by wildflowers and encircled by a level footpath, perfect for viewing the lake at multiple angles. Crystal Mountain Resort’s Mt. 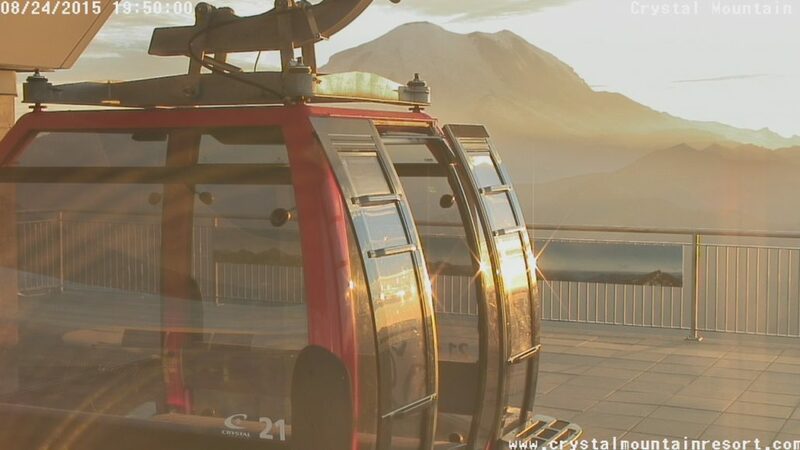 Rainier Gondola is an excellent way for people of any mobility level to enjoy an alpine outdoor experience. Its cherry-red cabins whisk visitors from 5,400 feet to 8672 feet in just 10 minutes. Soaring high above meadows and trees, the gondola offers gorgeous views, including a jaw-dropping vision of Mt. Rainier as the gondola crests the summit. In addition, Crystal Mt. Resort is dog-friendly. Dogs ride free on the gondola with a paying rider. Visitors can opt to ride both directions or can ride one way and hike from the ridge, down through the meadows to the base again. Hiking from the base of the resort to Hensken Lake is also a popular summer excursion. One day isn’t enough to see it all, so why not head back to Enumclaw and enjoy a leisurely dinner at any of its independently-owned downtown restaurants, overnight at a quaint hotel and start all over again in the morning? 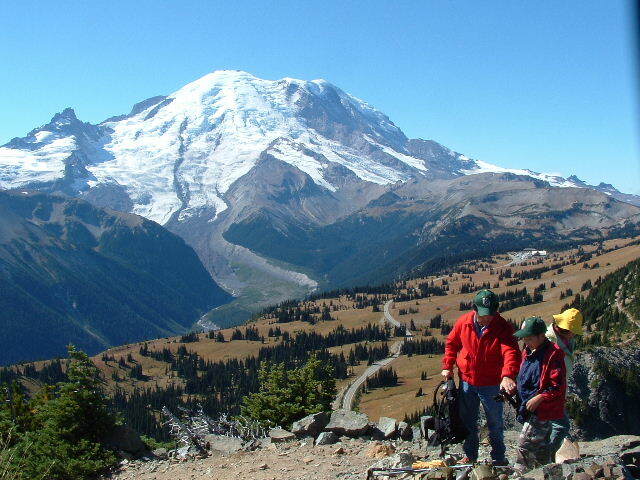 check out the Washington Trails Association or Visit Rainier.